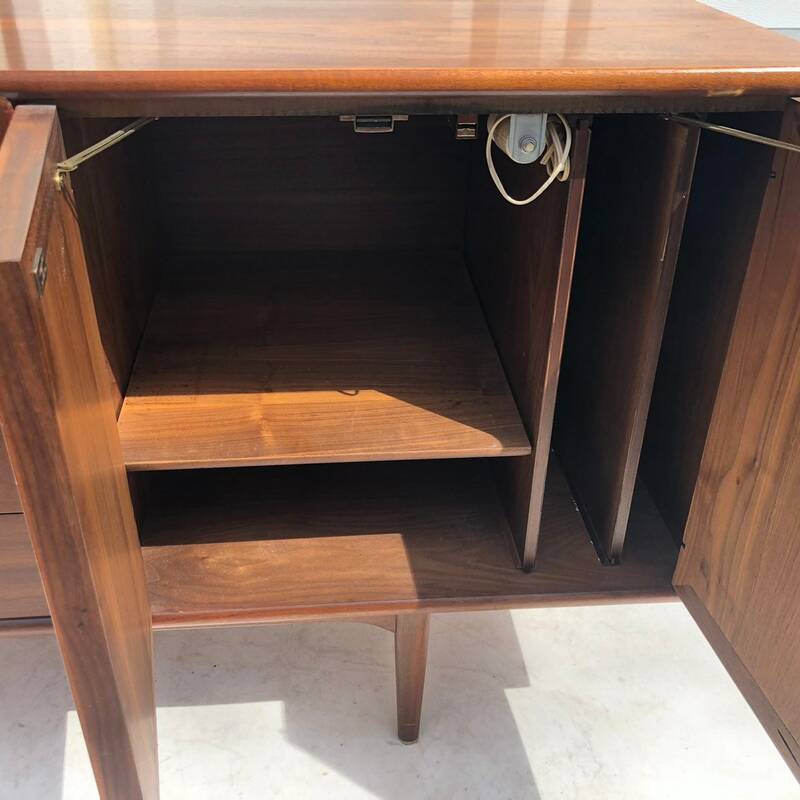 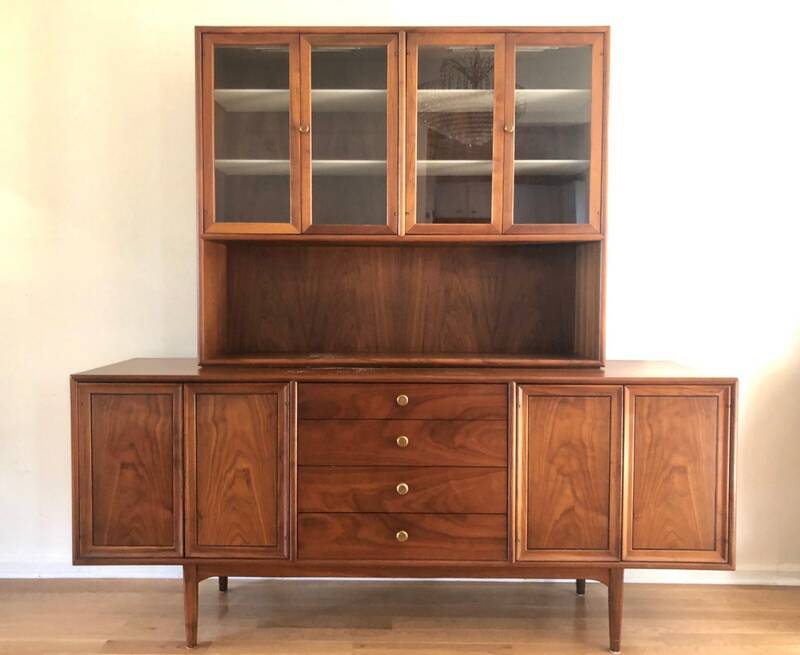 This impressive two piece sideboard by Kipp Stewart for Drexel furniture features versatile storage in a masterful mid-century modern package. 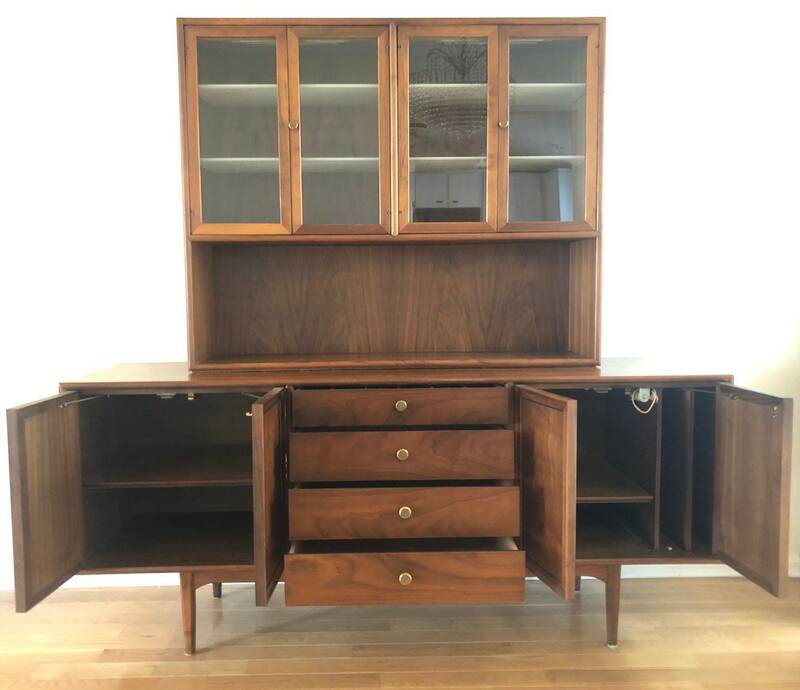 Unique drawer pulls, dovetailed drawers, and a spacious mix of display and storage space make this the perfect piece for living room, dining room, or showroom use. 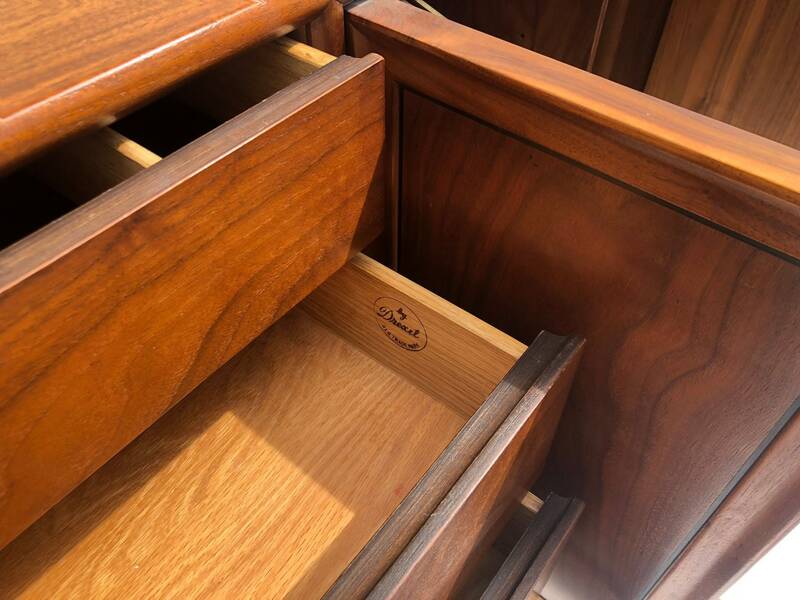 Interior cabinet storage includes slots for records and a solid mix of shelved storage. 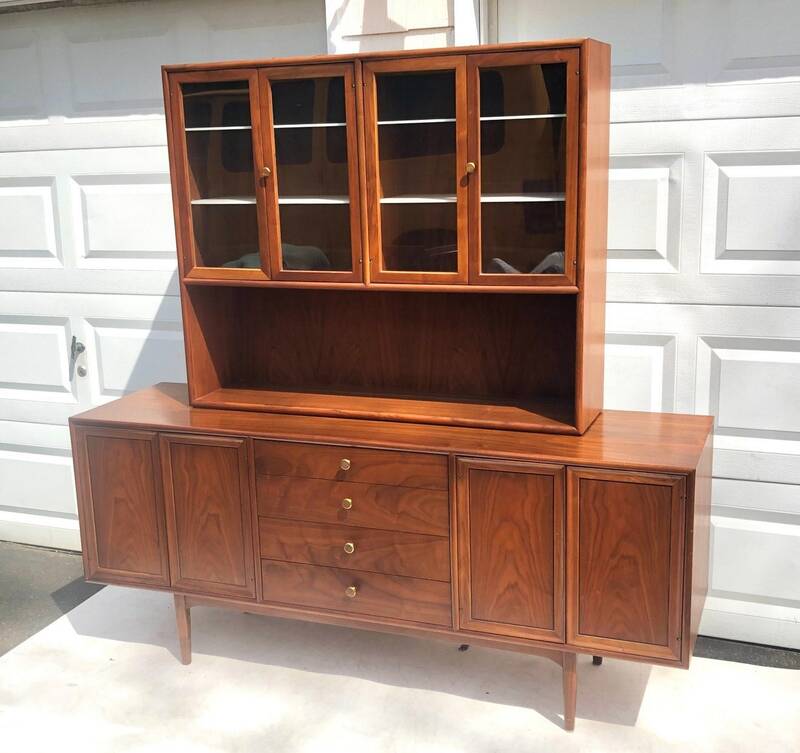 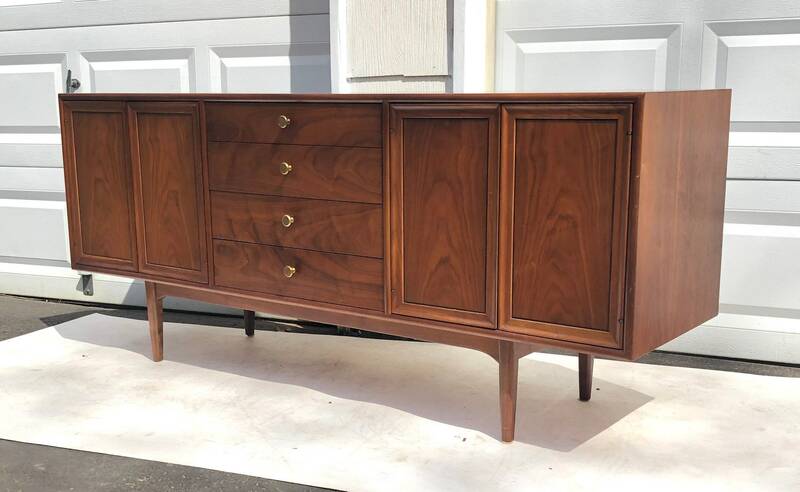 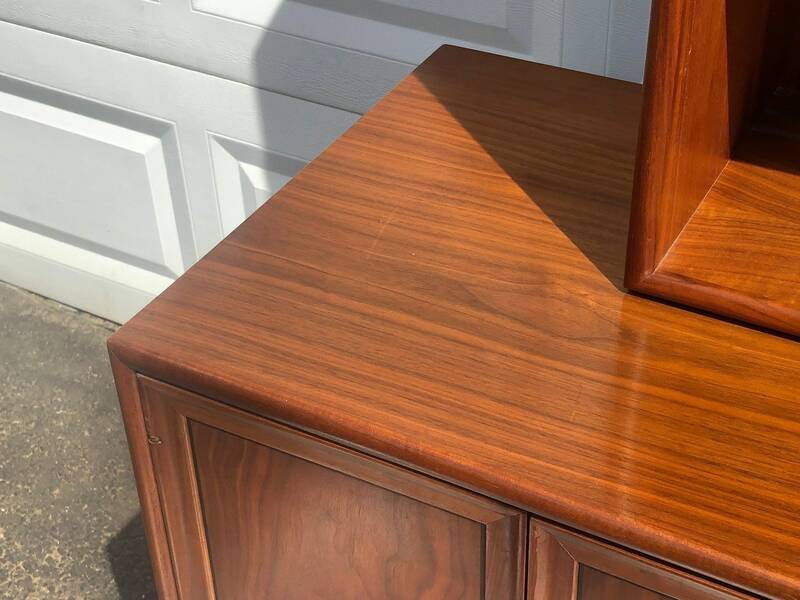 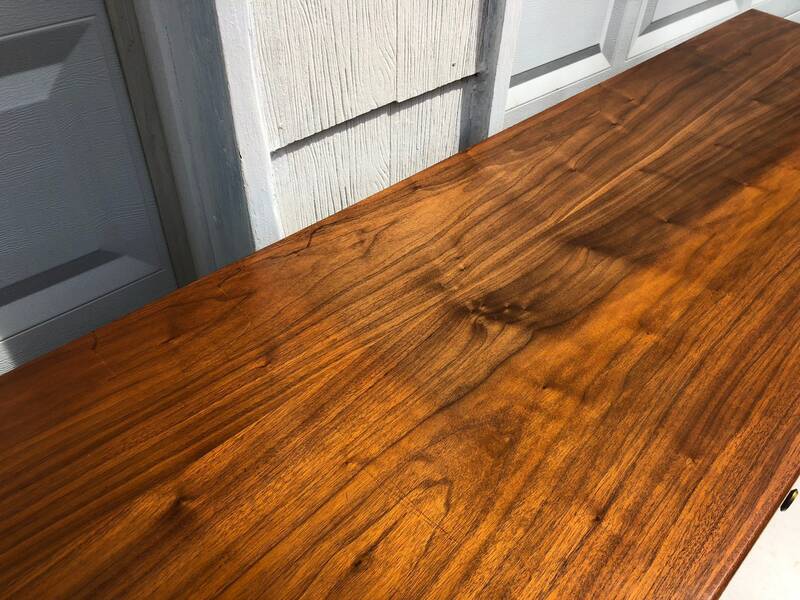 Beautiful wood grain finish and sturdy mid-century American construction add to the charm and value of the piece. 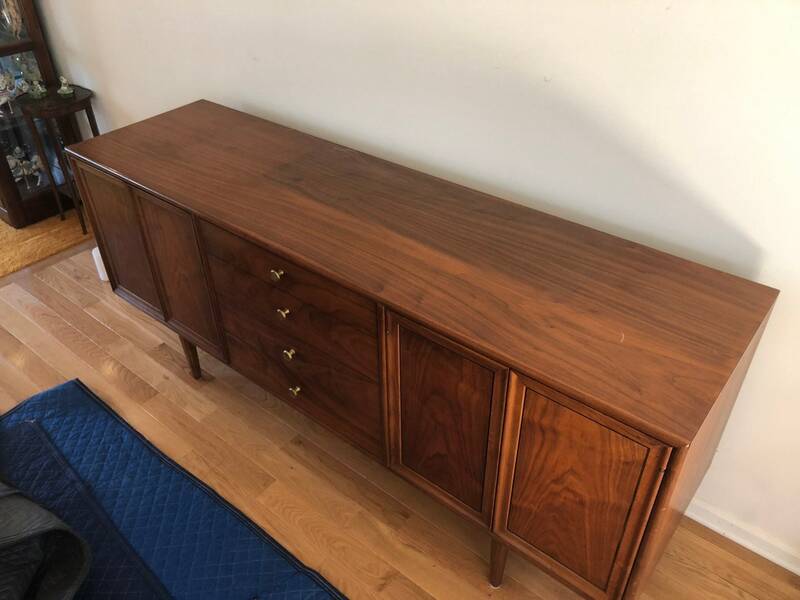 Condition: age appropriate wear, vintage finish worn/faded, some scuffs/scratches/edge wear, interior marks- see photos for details, lighting may need rewiring- see photos. 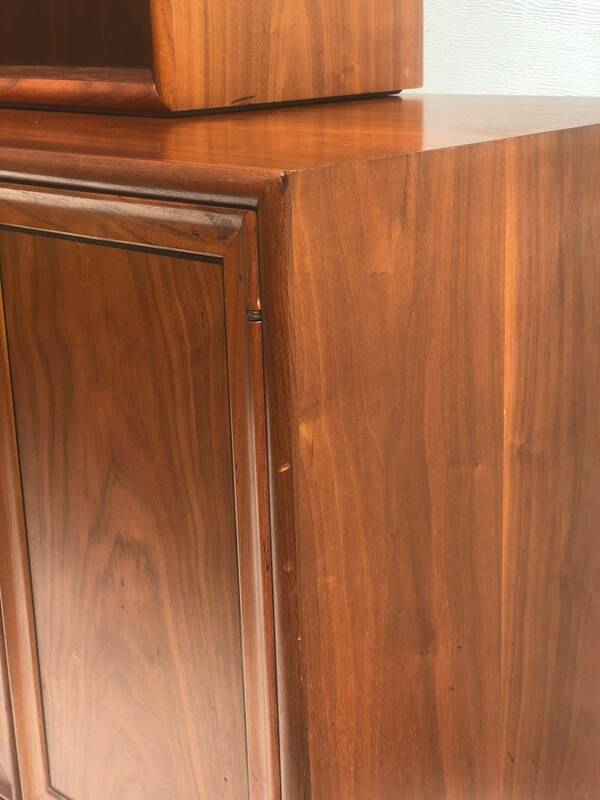 Shipping: Shipping quoted is a PLACEHOLDER- contact seller with zip code for a quote on delivery cost BEFORE purchase.